We are offering Single Column Vertical Lathe to our clients. We are reckoned as a prime heavy duty lathe machines manufacturer, exporter and supplier in overseas markets. The heavy duty lathe machine provided by us is made from optimum quality raw material using advanced technology. Clients can avail heavy duty lathe machine at reasonable rates from us. 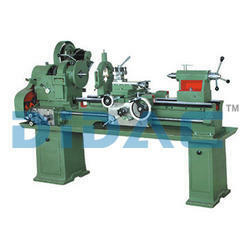 Manufactured as per client's specifications and requirements our Small Lathe Machines are qualitative in functioning. The machine has user-friendly design, robust construct and durable in service. 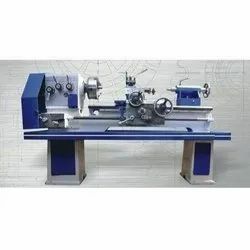 To meet the variegated necessities of our patrons, we are involved in providing a varied range of Lathe Machines. specification as: Centre height 150 mm and centre distance 1000 mm along with 3 & 4 jaw chucks, auto feed system, safety guard, taper turning attachment, motroized coolent system, lighting arrangement & standard accessories.